Wow, this is so beautiful Lenny!! 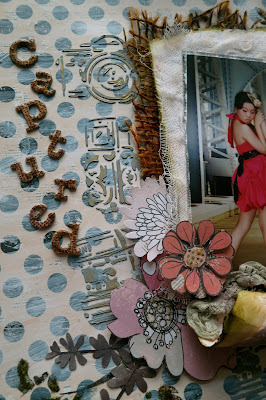 Love the texture you created with the papers and the burlap. I can tell you had a lot of fun with this!! Thanks for sharing it with us at Scrap 4 Help!! // Hugs!! Obrigada por brincar com a gente no S4H! Great page I love all the details just perfect. Thanks for playing with us in S4H!!! !